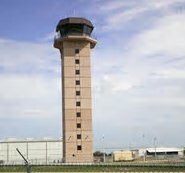 February 15, 2012 - FAA contract air traffic controllers began controlling aircraft from the Punta Gorda, Florida's first air traffic control tower. A grant from the Florida Department of Transportation and the Charlotte County Airport Authority funded the $4 million tower. The airport's only commercial carrier: Allegiant Air, will continue to operate, after the control tower shuts down in April of next year. A federal budget-cutting mandate was brought on by sequestration. Punta Gorda is among 149 smaller, regional airports that will be affected. 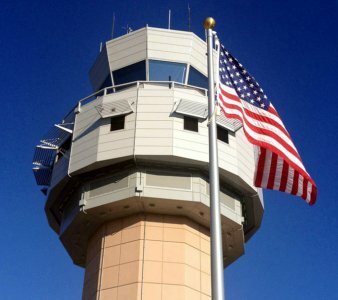 The FAA will eliminate 75% of the funding for contract tower services. Fourteen Florida airport towers will be affected by the $85 billion in federal cuts, including Page Field in Fort Myers, Naples Municipal Airport in Naples, and Albert Whitted Airport in St. Petersburg..
March 20, 2012 - The Little Rock Municipal Airport Commission voted to rename the airport the Bill and Hillary Clinton National Airport, after former Governor of Arkansas and President of the United State Bill Clinton and his wife, U.S. secretary of State Hillary Clinton. The airport averages about 250 aircraft operations per day. The airport has a large facility for Dassault Aviation, which operates its main completion center for all Falcon jets worldwide. The Falcons are manufactured in France, then flown to the Completion Center where optional avionics and custom interiors are installed and exteriors are painted. The Dassault Aircraft Services Little Rock Service Center and Completion Center combined occupy almost 1 million square feet, making Little Rock the largest Dassault facility in the world. March 27, 2012 -President Barack Obama nominated acting FAA Administrator Michael Huerta to be FAA Administrator for a five-year term. The Senate Commerce, Science and Transportation Committee voted to send the nomination to the full Senate for a vote. However, Senator Jim DeMint (R-SC) placed a hold on the nomination until after the presidential elections. The U.S. Senate confirmed Huerta for a 5-year term as FAA Administrator on January 1, 2013. Michael Peter Huerta (sworn in as FAA Administrator in 2013) is responsible for the safety and efficiency of the largest aerospace system in the world. He oversees a $15.9 billion budget and more than 47,000 employees. April 30, 2012- Delta Airlines announced it had agreed to purchase the Conoco Phillips refinery in Trainer, Pennsylvania for $150 million. Delta expects to decrease annual fuel expenses by $300 million once the refinery was retrofitted and reopened. Delta is the first airline to run its own refinery. Acquiring the Trainer refinery is an innovative approach to managing our largest expense, said Delta's CEO. 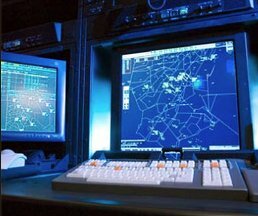 June 14, 2012 - FAA decommissioned the 4-decades-old HOST computer system at the Seattle and Salt Lake City ARTCCs and replaced the system with the new En Route Automation Modernization (ERAM) system. The transition to ERAM was one of the most complex, challenging, and ambitious programs deployed by the FAA. This transition represented a live transplant of the "heart" of today's air traffic control system while maintaining safe and efficient flight operations for the flying public. ERAM technology is the heart of the Next Generation Air Transportation System (NextGen) and the pulse of the National Airspace System (NAS), helping to advance the transition from a ground-based system of air traffic control to a satellite-based system of traffic management. ERAM can process data from 64 radars versus the 24 radar processing with the legacy HOST system. 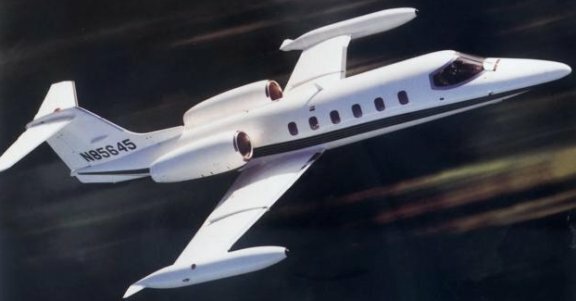 Pilots will find that ERAM increases flexible routing around congestion, weather, and other restrictions, as well as reduced vectoring and increased radar coverage. Controllers will enjoy the user-friendly interface with ERAM with customizable display, better conflict detection and improved decision making. ERAM also increases the number of flights that can be tracked. By March 2015 all 20 ARTCCs in the continental United States will be using ERAM 24/7 to control en route air traffic over an area covering more than 3 million square miles. 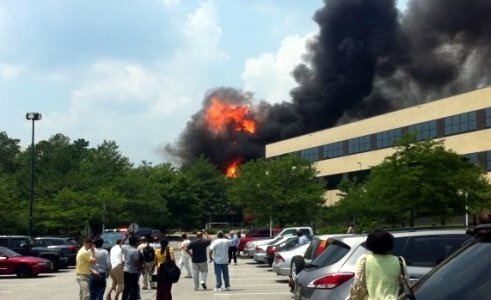 June 22, 2012 - Explosions and a fire at FAA's William J. Hughes Technical Center forced the evacuation of 1,600 people working at the complex. The fire made some traffic flow systems unavailable. 230 employees working at the Center's main administrative building had to be relocated. The explosions might have come from propane tanks on the site, but the cause of the fire was unclear. Building 300, the main administration building sustained extensive water and smoke damage. Contractors were working on the roof at the time of the fire. Weather became an obstacle for firefighters as a warning of lightning strikes within 6 miles of the center forced them to withdraw from the roof and ladders. FAA estimated the fire caused $2.2 million in damages to the facility. 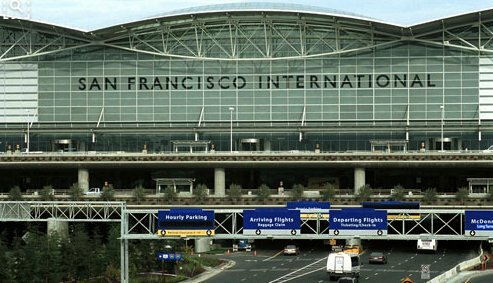 July 9, 2012- Transportation Secretary Ray LaHood and Acting FAA Administrator Michael Huerta joined federal and local officials in breaking ground for a new air traffic control tower at San Francisco International Airport (SFO). 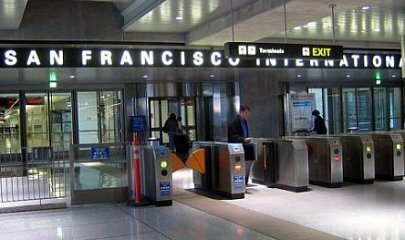 San Francisco airport is the 2nd busiest in California, after Los Angeles international Airport. It is the 7th busiest airport in the United States. The current tower, commissioned in 1984, was 190 feet tall and had a 525 square-foot controller work area. Construction of the new tower began in 2012, and the tower became fully operational in 2016. The new air traffic control tower replaces one that has been in operation since 1954. The new tower, 221 feet tall, features an inviting flared design clad in curved metal paneling. It has a 650 square-foot controller work area, and includes a 3-story, 44,000 square-foot base building for administrative offices, computer equipment, and a backup generator. September 28, 2012- FAA acting administrator Michael Huerta and Secretary of Transportation Ray LaHood dedicated the new $29.5 million air traffic control tower at Wilkes-Barre/Scranton International Airport in Pennsylvania. The 118-foot tower, and Terminal Radar Approach Control (TRACON) facility will provide NextGen air traffic capability for flights within a 57-mile radius of the airport. Wilkes-Barre airspace is surrounded by 3 adjacent approach controls: Binghamton, NY; Harrisburg, PA; and Allentown, PA. 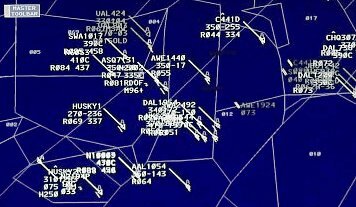 The New York TRACON borders to the east, while 8 sectors of both Boston ARTCC and New York ARTCC are above. 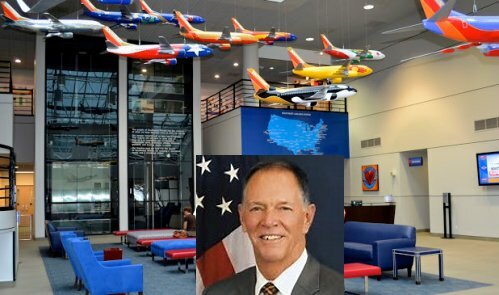 October 15, 2012 - Southwest Airlines announced it had hired former FAA Administrator Randy Babbitt as its senior vice president of labor relations. On August 23, 2016 Babbitt announced his retirement from Southwest Airlines. November 1, 2012- FAA implemented new wake turbulence categories for aircraft separation standards. Wake turbulence is an invisible hazard which can quickly cause a normal airplane to become uncontrollable, and even break into pieces during flight.  It's a phenomenon that acts a bit like a small, invisible tornado, and can cause severe damage to aircraft. Wake turbulence is disrupted air coming off an aircraft's wingtips, and it's a natural result of any aircraft in flight. The turbulence is caused by counter-rotating disturbances of the air that trail off the outboard edges of wings during flight. The difference between lower-pressure air on top of the wing and the higher-pressure air beneath the wing causes a significant and distinct swirling air mass at the edges of the wings near the wing tips. 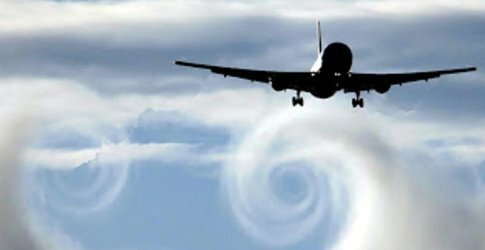 When generated by large, heavy aircraft, the force of these wingtip vortices can often exceed the available control forces of a smaller aircraft that crosses its flight path, resulting in a loss of control and potentially an in-flight break up of the smaller aircraft. Aircraft were placed in one of 6 categories (labeled A-F) based on considerations other than maximum gross takeoff weight, such as approach airspeeds, wing characteristics and lateral control characteristics. FAA split the heavy category (including the 'super' Airbus A-380) into 3 wake categories: A = Super B = Upper heavy C = Lower heavy aircraft. When a lower heavy jet follows an upper heavy jet into an airport, the separation standard is 4 miles. When an upper heavy jet followed a lower heavy jet, the separation could be reduced to 3 miles. November 17, 2012 - A Cessna Citation-550 jet, registered to the U.S. 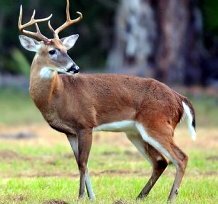 Custom Service was damaged during a collision with a deer after landing on Runway 9 at Greenwood County Airport, Greenwood, South Carolina. The jet was subsequently consumed by a post crash fire. The 2 certified airline transport pilots were not injured. Weather was VFR at the time, and no flight plan was filed for this maintenance test flight. The purpose of the flight was to conduct a test of the autopilot and flight director systems following a cockpit modernization. The jet completed the NDB/GPS Runway 27 instrument approach and then circled to land on Runway 9. About 5 seconds into the landing rollout, a deer appeared from the wood line and ran into the path of the Citation. The deer struck the jet at the leading edge of the left wing above the left main landing gear, and ruptured an adjacent fuel cell. The pilot was able to maintain directional control, and the jet was stopped on the runway, spilling fuel and on fire. The crew performed an emergency shutdown and escaped without injury. After she performed a concert at the Monterrey Arena, at around 3:00 AM they boarded the Learjet, and about 7 minutes after takeoff, while cruising about 28,000 feet the jet suddenly entered a high-speed descent and crashed at about 9,000 feet above sea level. Jenni was known to fans as "la diva de la banda" and was best known for her interpretations of regional Mexican music, norteno and banda. She was one of NBC Universal's biggest bilingual television stars, with a hugely popular reality show, "I Love Jenni" on cable channel Mun2. The investigation by Mexican authorities was inconclusive and they were unable to determine the exact cause of the crash. The impact was so violent, the velocity of the impact was probably supersonic. A runaway trim condition is suspected, with crew fatigue as a contributing factor. December 21, 2012 FAA closed its Center for Management and Executive Leadership in Palm Coast, Florida. FAA's lease for the facility, under a contract with Embry-Riddle Aeronautical Center expired on August 21. FAA plans to hold management training classes at the FAA Aeronautical Center in Oklahoma City until it finds a new location for the management and executive training center. December 21, 2012 - A Cessna Citation-550 crashed left of the threshold on Runway 17L at Will Rogers World Airport in Oklahoma City after experiencing an uncommanded 60-degree roll to the left. The business jet was following an Airbus A-300 on approach to land. The pilot was uninjured and the co-pilot sustained minor injuries. The airplane sustained substantial wing and fuselage damage. The tower controller told the Citation crew to extend their downwind, and then called out the landing traffic on final which was an Airbus A-300-600 heavy airplane. The crew replied that they had the traffic in sight, and the controller cleared the flight to land behind the Airbus, and to be cautious of wake turbulence. The flight crew discussed wake turbulence avoidance procedures and planned to make a steeper approach and land beyond the Airbus's touchdown point. When the Citation was about 150 feet and established on the runway centerline, the jet experienced an uncommanded left roll, the heading swung to the left and the nose dropped, the plane was buffeting heavily. Immediately, the pilot set full power and used both hands on the control wheel in an attempt to roll the jet level and recover the pitch. He managed to get the jet nearly back to level when the right main gear struck the ground short of the threshold and left of the runway. The Citation then collided with a small drainage ditch and a dirt service road, causing the main gear and the nose gear to collapse. The NTSB determined the probable cause of this accident was the flight crew's decision to fly too close behind a heavy airplane, which did not ensure there was adequate distance and time in order to avoid a wake turbulence encounter with the preceding heavy airplane's wake vortex, which resulted in loss of airplane control during final approach.